Vote forMildura, VICTop Regional Destinations Which are Australia's must-visit destinations? You help us decide. A blend of old-meets-new within the far north-west of regional Victoria that serves as a hub of greenery and civilisation in what is otherwise quite a dry part of the country, Mildura sits alongside the banks of the mighty Murray River that brings along with it famously clear skies and warm weather, making for an idyllic all-round getaway destination. A town officially established in 1887, Mildura is flanked by the iconic Murray River and is known to Australians as the national food bowl. A major region in terms of food production, you'll often find a lot of the country's dried fruit, citrus (most notably oranges), nuts including almonds and pistachios, olives, carrots and asparagus come from Mildura. The Mildura region also has a thriving wine scene with the first grape varieties planted back in the 1880s. SInce then the region's vines have blossomed to produce some of the best drops of Mataro, Cabernet Sauvignon, Gordo and Shiraz in the country. In terms of sightseeing and tourist attractions, there is a great variety of things to see and do. One of the main attractions in the region is the Murray River which offers various water-based activities including kayaking, canoeing and cruising. Additionally, the region is surrounded by more than one million hectares of national parks with an abundance of flourishing flora and fauna including wild emus. A great destination combining a thriving culinary and produce scene with exquisite national parks and natural attractions, Mildura is an ideal holiday destination for travellers from interstate and abroad. There are numerous natural attractions located in around Mildura. The abundance of national parks in the region include Mungo National Park which is known for its fascinating indigenous history ad ancient Walls of China dunes, and the Murray Sunset National Park famous for its pink lakes. You can choose to explore the region on your own with the help of a personalised Mallee Tour or embark on a guided bus or four wheel drive tour to some of the region's main highlights. Looking to pay a visit to Mildura but not sure what to do? Here are some of the most essential experiences. 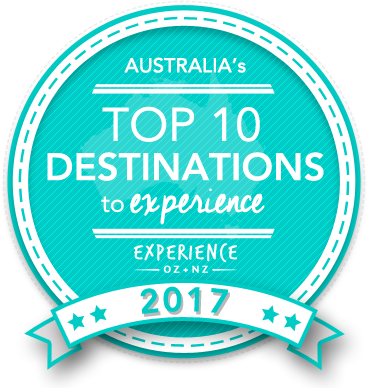 Is Mildura Australia's Top Regional Destination to Experience for 2017? Vote now for the chance to WIN an epic trip to one of Australia's top destinations!